Not only is astrology a sin it is demonic as well. 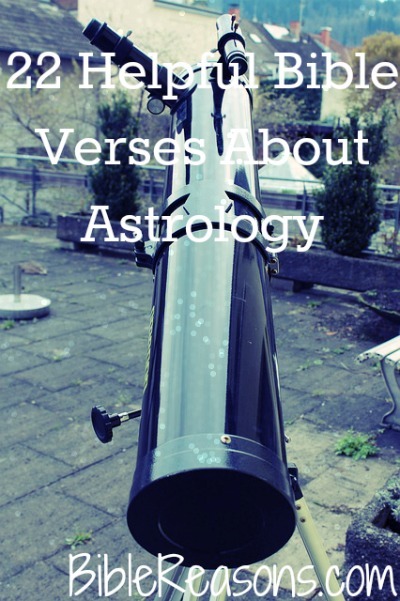 If you were to have anything to do with astrology in the Old Testament you would have been stoned to death. Astrologers and people who seek them are an abomination to God. Have nothing to do with these stupid demonic astrology sites. Trust in God alone. Satan likes to tell people, “He doesn’t care it’s not a big deal,” but of course Satan is a liar. Divination is evil, aren’t we to seek God instead of things of the world? God is never pleased with idolatry and He will not be mocked. The world might love astrology, but remember most of the world will burn in Hell for their rebellion against God. God alone knows the future and for Christians and everybody that should be enough. 1. Daniel 4:7 When all the magicians, enchanters, astrologers, and fortune-tellers came in, I told them the dream, but they could not tell me what it meant. 3. Daniel 2:27-28 By way of answer, Daniel addressed the king: None of the advisors, enchanters, diviners, or astrologers can explain the secret that the king has requested to be made known. But there is a God in heaven who reveals secrets, and he is making known to King Nebuchadnezzar what will happen in the latter days. While you were in bed, the dream and the visions that came to your head were as follows. 4. Isaiah 47:13-14 All the advice you receive has made you tired. Where are all your astrologers, those stargazers who make predictions each month? Let them stand up and save you from what the future holds. But they are like straw burning in a fire; they cannot save themselves from the flame. You will get no help from them at all; their hearth is no place to sit for warmth. 5. Deuteronomy 18:10-14 There shall not be found among you anyone who burns his son or his daughter as an offering, anyone who practices divination or tells fortunes or interprets omens, or a sorcerer or a charmer or a medium or a necromancer or one who inquires of the dead, for whoever does these things is an abomination to the Lord. And because of these abominations the Lord your God is driving them out before you. You shall be blameless before the Lord your God, for these nations, which you are about to dispossess, listen to fortune-tellers and to diviners. But as for you, the Lord your God has not allowed you to do this. 6. Isaiah 8:19 When someone tells you to consult mediums and spiritists, who whisper and mutter, should not a people inquire of their God? Why consult the dead on behalf of the living? 7. Micah 5:12 and I will cut off sorceries from your hand, and you shall have no more tellers of fortunes. 8. Leviticus 20:6 If a person turns to mediums and necromancers, whoring after them, I will set my face against that person and will cut him off from among his people. 9. Leviticus 19:26 You are not to eat anything with blood in it. You are not to practice divination or sorcery. 10. James 3:15 Such “wisdom” does not come down from heaven but is earthly, unspiritual, demonic. 12. 2 Corinthians 10:5 Casting down imaginations, and every high thing that exalteth itself against the knowledge of God, and bringing into captivity every thought to the obedience of Christ. 14. Romans 12:1-2 I appeal to you therefore, brothers, by the mercies of God, to present your bodies as a living sacrifice, holy and acceptable to God, which is your spiritual worship. Do not be conformed to this world, but be transformed by the renewal of your mind, that by testing you may discern what is the will of God, what is good and acceptable and perfect. 15. James 1:5 If any of you lacks wisdom, let him ask God, who gives generously to all without reproach, and it will be given him. 16. Proverbs 3:5-7 Trust in the Lord with all your heart, and do not lean on your own understanding. In all your ways acknowledge him, and he will make straight your paths. Be not wise in your own eyes; fear the Lord, and turn away from evil. 17. 1 Samuel 15:23 For rebellion is as the sin of witchcraft, and stubbornness is as iniquity and idolatry. Because thou hast rejected the word of the LORD, he hath also rejected thee from being king. 18. Proverbs 27:1 Do not boast about tomorrow, for you do not know what a day may bring. 19. Galatians 6:7 Do not be deceived: God is not mocked, for whatever one sows, that will he also reap. God’s handiwork is not to be idolized. 20. Psalm 19:1 The heavens declare the glory of God, and the sky above proclaims his handiwork. 21. Psalm 8:3-4 When I look at your heavens, the work of your fingers, the moon and the stars, which you have set in place, what is man that you are mindful of him, and the son of man that you care for him? 22. 1 Chronicles 10:13-14 So Saul died for his breach of faith. He broke faith with the Lord in that he did not keep the command of the Lord, and also consulted a medium, seeking guidance. He did not seek guidance from the Lord. Therefore the Lord put him to death and turned the kingdom over to David the son of Jesse. Deuteronomy 4:19 Do not gaze toward the heavens and observe the sun, the moon, the stars—the entire array of the sky—with the intent to worship and serve what the LORD your God gave every nation. Previous: Is Wearing Makeup A Sin?